Making waves as New Zealand’s premier sea salt, Hauraki Salt Company is the new kid on the block. 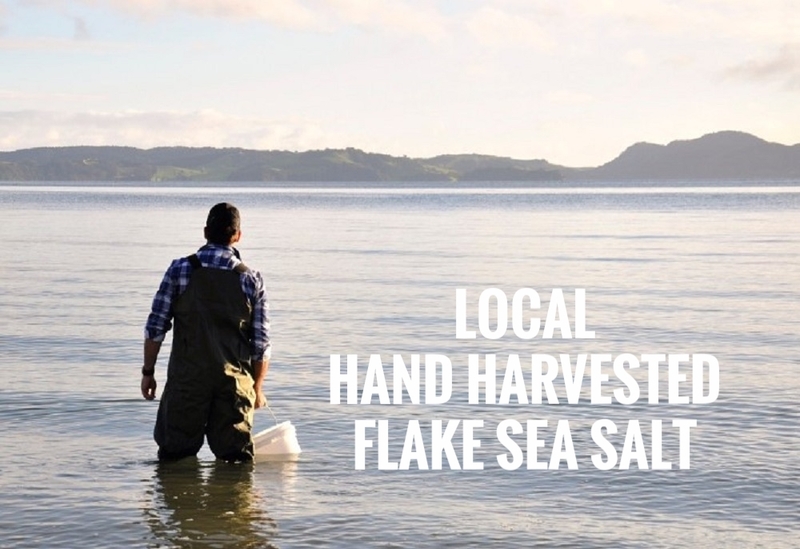 Launched early 2017, Hauraki Flake Sea Salt is sustainably produced from the beautiful waters of the Hauraki Gulf. Quality is our core value ensuring that our salt is totally pure and natural, whilst retaining healthy minerals and trace elements. Made in small batches and hand harvested, we have harnessed innovation to be New Zealand’s first commercial, artisan salt maker. After hundreds of hours to engineer our process we came up with the perfect balance of minerals to produce a clean, briny and smooth tasting salt with no bitter after taste. It simply tastes like the sea! Perfect as a finishing salt, our large crunchy flakes add bursts of flavour to any dish making for a more delicious meal. Use on meat, fish, vegetables, eggs and even salted caramel deserts. Hauraki Salt is proud to be used by both home cooks and chefs in fine dining restaurants.